Natural gas provides a cost-effective way to power your appliances, and while many people associate plumbing experts with pipes that transport water or sewage, we’re more than that. At Timothy Off, we also offer residential and commercial natural gas pipe installation and repair services for your home or business. Whether you’ve just moved in and need a new installation or you’re having trouble with your pipes, our team is here to help. 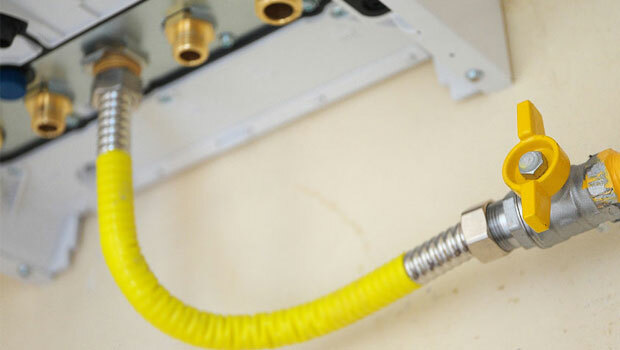 Natural gas piping systems are actually very similar to the piping used for your plumbing. This means that our professionals are familiar and comfortable handling gas piping installations. We understand the regulations that are associated with gas piping and will carefully plan and carry out our work to make sure your system flows properly and that there are no threats of leaks. Trust the experts at Timothy Off for you gas pipe installation services. If you notice these signs, leave your home or business immediately and contact Timothy Off. We can have your gas leak repaired quickly and eliminate any issues.